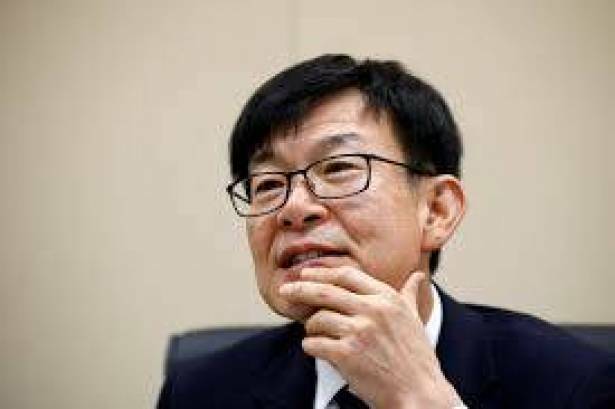 South Korea's new antitrust chief said he has been in talks with the autos-to-steel conglomerate Hyundai Motor Group about overhauling its complex ownership structure, which critics say gives too much power to its controlling family at the expense of shareholders. "Many people, including me, are telling Hyundai that they shouldn't waste more time before dissolving cross shareholding," said Kim, who has been nicknamed "chaebol sniper" for his shareholder activist campaigns targeting South Korea’s powerful family-run conglomerates. "I'm in ongoing conversations with Hyundai." The European Commission last year charged Alphabet's (GOOGL.O) Google for using its dominant Android system to shut out rivals, and is weighing a record fine that could come by the end of the year, Reuters reported in July. In South Korea, the Android operating system has a 74 percent market share, and industry officials have questioned whether Google used its mobile dominance to prevent South Korean companies such as Samsung Electronics (005930.KS) from developing their own operating systems. The South Korean regulator, which in December fined Qualcomm Inc (QCOM.O) 1.03 trillion won ($854 million) for what it called unfair business practices in patent licensing and modem chip sales, is also cooperating with its European counterpart on its own investigation into Qualcomm over related issues, Kim said. In Hyundai's case, its chairman, Chung, controls the sprawling conglomerate with only small stakes in key affiliates including the automaker Hyundai Motor (005380.KS) and parts supplier Hyundai Mobis (012330.KS). Hyundai Glovis (086280.KS), a logistics affiliate of Hyundai Motor, is one of a handful of companies found to have frequently used intra-group transactions, Kim said, declining to provide other names. Kim recently testified as an expert witness for prosecutors in their bribery case against the Samsung Group leader Jay Y. Lee, who has been jailed since February on charges that he bribed Park, the former president. Lee, who faces a court ruling on Friday, denied any wrongdoing as prosecutors sought a 12-year jail term this month on charges that include embezzlement and perjury. Kim expects Lee's troubles will paralyse group-wide decision-making and create "serious problems" for ailing affiliates, such as the struggling shipbuilder Samsung Heavy (010140.KS), although the impact may be limited on crown jewel Samsung Electronics (005930.KS). "The verdict will have significant implications for Samsung's future," he said. Kim said he would focus on stricter enforcement of existing laws, such as using his agency's investigation powers, rather than pursuing drastic legislative changes that could fail in parliament where Moon's ruling party does not have the majority. "President Moon is taking a lesson out of the failure of chaebol reforms under the former liberal administration," Kim said, referring to the unsuccessful reform efforts under the administration of Roh Moo-hyun, who served as president between 2003 and 2008.